Mercedes plans to slash the price of its new E-Class models by 10%, despite significant new hardware -- and a complete interior and exterior redesign. 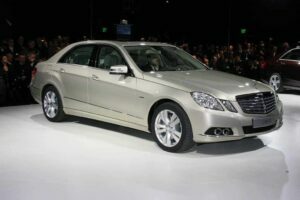 Aiming to undercut the competition, and stop a precipitous sales drop, Mercedes-Benz is taking the dramatic step of cutting prices on its all-new, 2010 E-Class sedan by about 10%, despite the addition of “significant” amounts of new content on the updated model. 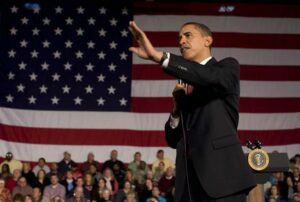 President shoots to kill and explains where he stands on reviving the U.S. auto industry. As to the implications of this shoot out on recalcitrant GM bondholders, well, I'll bet the President has already reloaded. At eight minutes past noon today the President of the United States strode into the Grand Foyer of the White House to speak on the Chrysler restructuring. It may as well have been the OK Corral by the time the President got done shooting down the outlaws that were holding up the restructuring of the wounded, but still breathing Chrysler Corporation. He began simply enough by saying that his team would continue working with General Motors as its May 30 deadline approached, but quickly moved to the show down at hand. “And today, after consulting with my Auto Task Force, I can report that the necessary steps have been taken to give one of America’s most storied automakers, Chrysler, a new lease on life,” he said. Offshore brand organization is shaken by the President's patriotic sales pitch. Not so fast Mr. President, said Lusk. President Barack Obama rattled the windows around the car business with a “buy American” plea as he rolled out the administration’s plans for rebuilding Chrysler with help from Fiat. The American International Automobile Dealers Association responded almost immediately to a speech in which President Barack Obama asked Americans to “buy American” vehicles as part of our economic recovery. “The real issue is that every car purchased in America today is a shot in the arm for our economy, a boost for car dealers, who are the cornerstones of communities all across this country, and a win for American consumers who have the opportunity to choose the vehicles that best meet their driving needs. President Obama must recognize that protectionist policies and statements like “buy American” have no place in America’s economic recovery,” said Lusk. Chrysler Financial will be phased out. "GMAC is pleased to be part of the solution to restructure and stabilize the U.S. auto industry," said GMAC Chief Executive Officer Alvaro G. de Molina. GMAC Financial Services has just announced that it has entered into an agreement with Chrysler LLC to provide automotive financing products and services to Chrysler dealers and customers. Chrysler Finance will continue to carry the existing book of business for dealer inventory, but would eventually be liquidated as those loans are paid off. Retail contracts going forward would be handled by GMAC. GMAC is a bank holding company with operations in North America, South America, Europe and Asia-Pacific, and that gives it access to funding that Chrysler Finance does not have under the existing frozen credit markets. The company is owned by a Cerberus-led consortium, which holds 51%, and former owner General Motors, which now holds 49%. Cerberus, of course, is the soon to be former owner of Chrysler, which filed for bankruptcy earlier today. As of December 31, 2008, the company had $189 billion in assets and serviced 15 million customers around the world. Under the tentative agreement, GMAC will be the preferred provider of new wholesale financing for new Chrysler dealer inventory and has a four-year agreement for “incentivized” retail financing with limited exclusivity. The President went on to explain that the U.S. would be providing additional capital to GMAC to help unlock the frozen credit markets and free up lending so that consumers can get auto loans and dealers can finance their inventories. “Tomorrow, the Small Business Administration will be announcing it is expanding eligibility for some loans to include more suppliers and dealers, including RV dealers,” the President concluded. “GMAC is pleased to be part of the solution to restructure and stabilize the U.S. auto industry,” said GMAC Chief Executive Officer Alvaro G. de Molina. “Providing financing options to dealers and consumers is critical as we work through one of the most challenging periods in the global auto sector. We will leverage our strengths and capabilities as the leading automotive finance company to serve our new customers, while maintaining our commitment to current customers. Production halts this Monday, May 4, and only resumes when the New Chrysler emerges from the court proceedings. Tom LaSorda, Chrysler Vice Chairman and President, left, and Bob Nardelli, Chairman and CEO, will leave. Chrysler LLC today announced that, as a result of the comprehensive restructuring plan agreed to by many of its stakeholders, it has reached an agreement in principle to establish a global strategic alliance with Fiat SpA to form a new company. Unfortunately for workers, the company also filed for bankruptcy at a Federal court in New York City. During the bankruptcy proceedings, which are expected to last from 30 to 60 days, most of its manufacturing facilities will be closed. It is only when the New Chrysler emerges from bankruptcy that production will gradually resume. Workers will be eligible for supplemental unemployment benefits, worth about 80% of pay. Some additional plant closings are anticipated. Chrysler already has a relatively low inventory as a result of previous cutbacks. The decision does not restrict Chrysler’s ability to reopen the plants if buyer demand warrants. Nonetheless, this is a severe blow to suppliers, who are also under pressure from GM’s announcement last week to take its plants down for 90 days. U.S. Treasury Moves Forward with Chrysler Bankruptcy and Fiat Partnership! President makes tough decisions to move forward with the agreement of major stakeholders. "It was unacceptable to let a small group of speculators endanger Chrysler's future by refusing to sacrifice like everyone else. So the President agreed with the recommendations of his Auto Task Force and directed that Chrysler LLC enter into bankruptcy under Chapter 11, section 363, in a Federal District Court in New York City, which is vastly experienced in such matters. The bankruptcy was filed today. New Chrysler will emerge “stronger, and more competitive,” the President said. No further job cuts are anticipated at this time. If all goes well, more jobs will ultimately be created. The “alliance” with Fiat will create the sixth-largest global automaker, spreading R&D and design development costs over higher volumes, making it more competitive in an increasingly global and consolidating industry. Fiat is contributing billions of dollars in advanced technology and intellectual property, and offering Chrysler access to its global distribution network. Fiat’s technology will allow Chrysler to build new fuel-efficient cars and engines in North American factories. 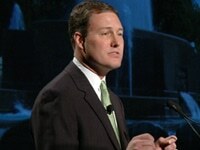 The “appropriate level of shared sacrifice” was not achieved, so Chrysler will go through what is termed a “surgical, short bankruptcy in order to finish the restructuring of its balance sheet and emerge with as a properly capitalized company that could be competitive,” a senior administration official said in a background briefing that TheDetroitBureau.com participated in. Chrysler’s largest secured creditors have agreed to exchange their portion of the Company’s $6.9 billion secured claim for a pro-rata share of $2 billion in cash at closing. The Bankruptcy Court will be used to impose this treatment on those lenders that failed to accept the offer, which was accepted by a majority of the lenders. 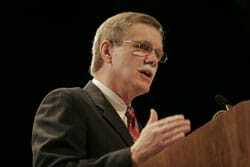 The President lambasted hedge funds and speculators looking for “unacceptable” taxpayer subsidies. During the 30 to 60 days the bankruptcy is predicted to take, Chrysler will function normally, suppliers will be paid and people will be able to finance and purchase vehicles because of funding from the U.S. and Canadian governments. Funding is being provided on about a $3:C$1 ratio, reflecting the highly integrated nature of Chrysler’s operations on both sides of the border. President to approve Fiat deal, but require bankruptcy to solve bondholder issue. Chrysler will complete its deal with Fiat -- but only after a "brief," stage-managed bankruptcy. 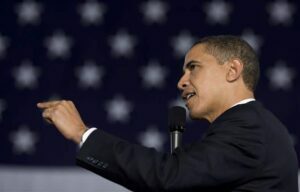 President Obama is expected to announce a successful deal between Chrysler and Italy’s Fiat during a noon news conference, TheDetroitBureau.com has learned. But due to problems with a few, reluctant lenders, it is expected that he will force a short, “surgical” bankruptcy process, sources are reporting. Exactly how long the process will take is not yet clear, but Chrysler will receive interim funding to keep operating “normally” during the process, and additional funds once it emerges from bankruptcy. More details should emerge from the President’s speech, which comes a month after he initially declined to provide further aid to both Chrysler and its cross-town rival, General Motors Corp. One uncertainty is what will happen with Chrysler’s CEO, Bob Nardelli. Many observers believe he may be replaced by an executive chosen by Fiat Chairman Sergio Marchione. TheDetroitBureau.com will be filing updates throughout the day. The respected supplier finds hope in a positive cash flow and further cost cuts. Borg's dual clutch automatic transmissions return the fuel economy of a manual, making them an increasingly popular automaker choice. In a sign of difficult economic times, BorgWarner Incorporated posted this morning a negative swing of -$97 million in Q1, which is viewed by analysts as a good performance these days in the depressed auto supplier sector. The word’s largest maker of automatic transmissions, including extremely efficient dual-clutch versions that are being adapted by most automakers, lost 6 cents a share or $7 million. This compares with earnings of 75 cents a share or almost $90 million in Q1 2008, which was before the Great Recession took hold and automotive production was slashed globally. The loss was actually worse, at -12 cents a share, since the company excluded non-recurring items, including a 15 cent a share credit it took for shutting its fabled Muncie, Indiana, transmission plant. Still, losing only $14 million is considered a victory in the current economic climate, which can be likened to requiring the management team to running–and completing–a marathon in a hurricane. 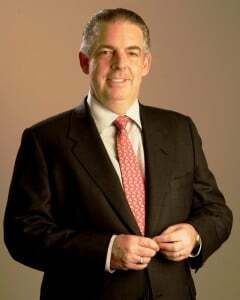 “The restructuring actions we took in 2008, while difficult, have already begun to yield positive financial results,” said Timothy Manganello, Chairman and CEO. There’s something about spring in Northern Italy that makes you feel like you’ve stepped onto a movie set. 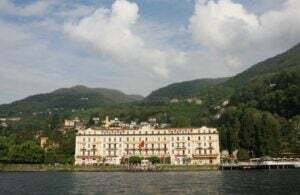 Maybe it’s the soft light or the gentle breeze as our boat slowly rounds a bend on Lake Como and the lush grounds of Villa d’Este suddenly come into sight. At first, the palatial hotel, with its trompe l’oeil columns, dominates the vista, but as we draw closer, we remember the reason we’re here, dozens of classic cars sprawling across the estate’s grounds. The Concorso Eleganza Villa d’Este is neither the first classic car show of the season, nor the largest. But it is perhaps the most charming and delightful, a setting even more lovely than the grounds of Pebble Beach and a collection of rare and amazing automobiles that few, if any, other Concours can match. Only bondholders remain in the way of a last minute reprive of the company. "Our members have responded by accepting an agreement that is painful for our active and retired workers, but which helps preserve U.S. manufacturing jobs and gives Chrysler a chance to survive." UAW members at Chrysler have overwhelmingly ratified a settlement agreement with Chrysler, Fiat and the U.S. Treasury that will allow the restructuring of the ailing company to go ahead. The remaining obstruction to a reorganized Chrysler this morning are hedge funds that hold its virtually worthless secured debt. The four largest banks, holding 70% of the debt have already agreed to the proposed swap, but it appears that all of the bondholders must go along, and small ones are refusing to do so. The funds are expected to try and hold out until the last possible minute – midnight tonight – of the deadline imposed by the Auto Task Force. But President Obama is due to speak at noon today, an indication that the administration is willing to act forcefully and move on. If agreement is not reached by then, the U.S. government is prepared to put Chrysler in receivership and provide funding until Chrysler’s assets can reassigned to a new company that would then go on. With the approval of a new contract, union workers are putting their jobs on the line, saying they are willing to take the risk that a new, new Chrysler can survive and ultimately thrive. 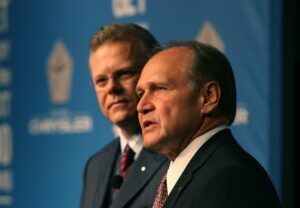 Eighty-two percent of production workers, and 80% of skilled-trades workers voted for the agreement in balloting that took place at UAW Chrysler locations throughout the United States. Ninety percent of office and clerical workers voted in favor of the agreement, and 94% of UAW-represented Chrysler engineering workers voted for approval.